I've been at war with myself. I was hit by a lightning bolt-- the idea that I could make a career out of food, specifically baking, even more specifically bread. In the past, I've written off my interest in food as a hobby. My mom once suggested I go to culinary school and I'm pretty sure I laughed at her. Food is my playtime, where I go to escape from stress, was it worth looking into as a job? Would it ruin my time in the kitchen? But now I'm not laughing. I'm probably the opposite of laughing by having a mini quarter life crisis, or at least parallel to laughing, mooning over the romantic notion of getting up in the dead of night to go to work, bake fresh bread, handmake croissants, drink black coffee and watch the sun come up through the front window of the bakery. Sigh. The draw of hands on, hard work. Bread, sweat and tears. While I pondering this 180 degree turn in life, I hit the library to find some books on baking, the industry, French pastry, basically any information I can get my hands on. Among them was Butter Cream, a non-fiction book by Denise Roig, a professor at Concordia (my university) who took a year off to go to pastry school and write about it. Roig's stories about tarts and triumph, buttercream and breakdowns both pushed me towards the edge, making me pine for a world I don't know, while also putting the fear of the pastry Gods in me. The book is chock full of the trials and tribulations of not only the author, but her classmates, who several times over the course of the book all have moments of "I cannot TAKE THIS ANYMORE." She talks about the insane hours bakers and pastry chefs work, and still, I can't help but think.... Is it insane if you love it? How much do I love it? I finished the book in under a week. 1. 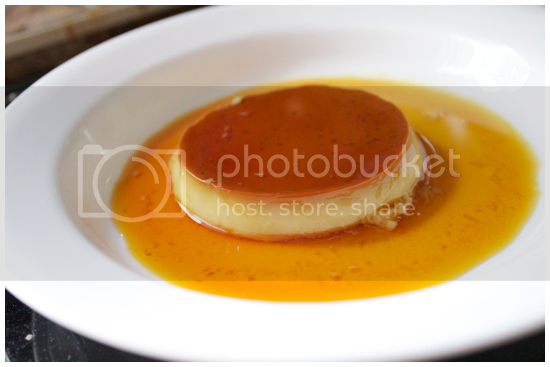 Make the caramel by combining the water and the 1 cup of sugar in a saucepan over medium heat. The mixture will start to bubble. 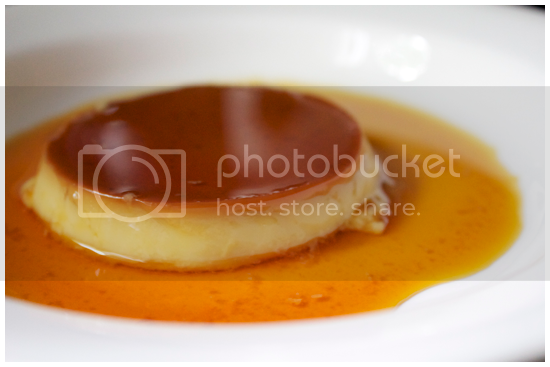 DO NOT stir the caramel with a spoon, or the sugar will crystallize. Instead, gently swirl occasionally, brushing spare sugar back into the mix with a pastry brush coated with water. 2. The mixture will start steaming, and then when the water evaporates, it will slowly start to turn colour. 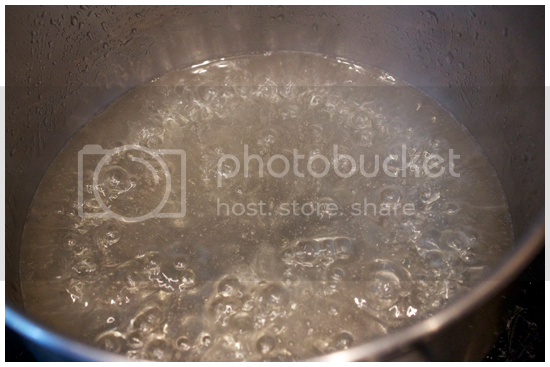 Fill a heatproof bowl with cold water and ice. 3. 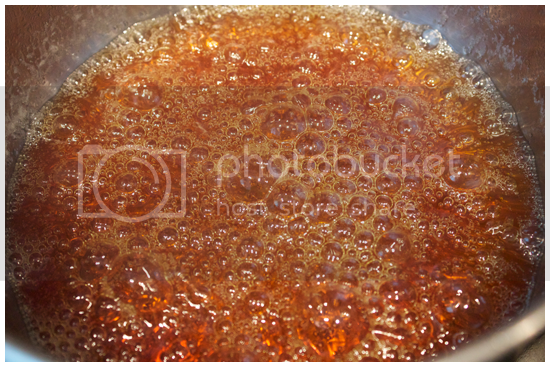 When the caramel turns a deep amber, quickly remove the pan from the heat and plunge the bottom into the bowl of ice to stop the cooking process. 5. Preheat the oven to 325 degrees. Put the milk in a saucepan, over low-medium heat. In the meantime, whisk together sugar, eggs and the vanilla in a large heatproof bowl. 6. When the milk begins steaming, whisk a small amount of it into the egg mixture, doing so quickly to avoid cooking the egg. Then, whisk in the remainder of the milk. 8. Bake for 45 minutes, or until a tester in the custard emerges nearly clean. Let cool completely before refrigerating. 9. 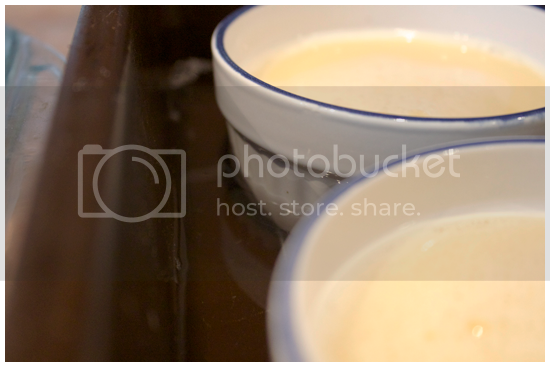 Before serving, run a thin knife around the edge of the ramekin to loosen, then turn upside down on serving plates. Voila! 1. Combine sugar and water over medium heat. The mixture will start to bubble, steam and eventually change colour. Do not stir, instead, gently swirl the pan to avoid crystallizing the sugar. 2. When the sugar mixture turns amber, plunge the bottom of the pot into a waiting bowl of ice water to stop the cooking process. 4. Preheat the oven to 325 degrees. Heat the milk on the stove until it starts steaming. 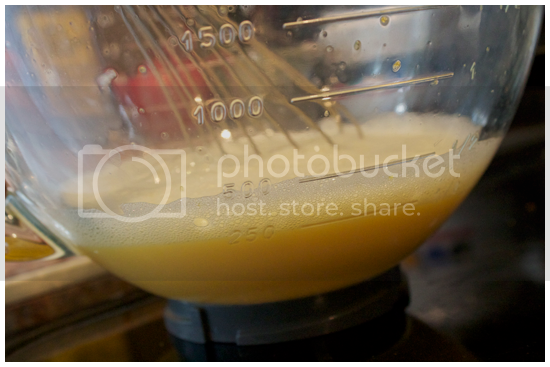 In a separate bowl whisk together sugar, vanilla, eggs and egg yolks. Add the hot milk to the egg mixture, streaming it in while whisking vigorously to avoid clumps of cooked egg. 5. Strain the mixture once, then divide it among the six ramekins. 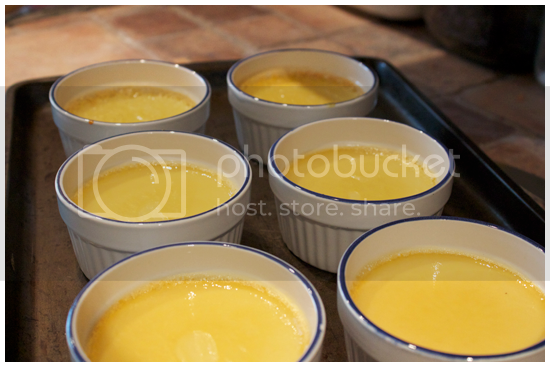 Place the ramekins in a deep ovenproof dish, and fill it halfway up with warm water. 6. Bake for 45 minutes, until a knife inserted comes out mostly clean. Then, let cool completely before setting them in the fridge. 7. 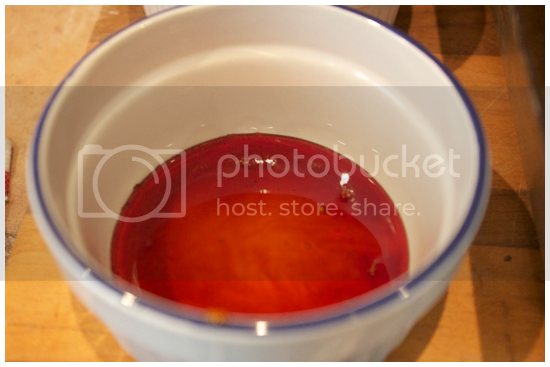 Come serving time, run a thin knife around the edge of the ramekin to loosen it. Invert on a serving plate, garnish and serve!